Committed to providing comprehensive, yet affordable elder law and estate planning services to individuals and families throughout Ohio. Our Mission is to provide peace of mind, security, and dignity to our clients by walking with them on their long-term care journey. Our Purpose is to help people that are vulnerable due to age or disability. The whole process seemed overwhelming to me but Dan calmly led us step by step through what we needed to do. I would highly recommend him to anyone in the need of help with elderly family members. -Kay C.
As an unmarried and only child, the firm has been my “rock” through every step. I want to personally thank each and every one of you, for the support that you have given to my mother and I through this journey. -Sandy B.
I cannot thank you enough for all the help you have given me during my time of need. Thanks to you, I am sleeping at night! 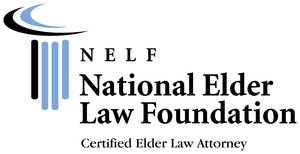 -Sondra L.
The Law Firm of Daniel P. Seink Co., Ltd. is committed to providing comprehensive, yet affordable elder law and estate planning services to individuals and families throughout Ohio. The Firm limits its practice to the areas of Ohio Medicaid planning and Medicaid applications, Life Care Planning, Medicaid estate recovery settlement, Medicare, Social Security and Veteran benefits, estate planning and administration, trusts including the Ohio Legacy Trust, trust settlement, wills, probate, retirement tax planning and business succession planning. Over the last twenty years, we have assisted thousands of clients with small to large estates preserve and protect their assets. Call 1-800-393-2324 for a free 20 minute phone consultation to determine whether we can assist you with your matter and if a full in-office consultation will be useful. There is an hourly charge for the full in-office consultation. Fees for the in-office consultation can be discussed during the phone conference. 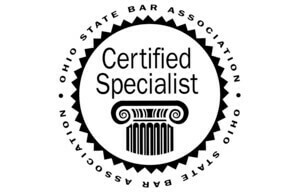 Founder and managing partner Daniel P. Seink is dual certified in Elder Law: first as an Elder Law Attorney by the National Elder Law Foundation, a certification he has held for over 10 years, which is the only certification accredited by both the American Bar Association and the Supreme Court of Ohio Commission on Certification of Attorneys as Specialists; and second as a Certified Specialist in Elder Law through the Ohio State Bar Association. He is one of twenty-four attorneys with dual certification. Bundling asset protection, public benefits qualification, care coordination, caregiver support, patient advocacy and crisis intervention services, a Life Care Plan enhances quality of care and quality of life. The Attorneys at Daniel P. Seink Co. are often asked to speak on Elder Law and Estate Planning topics to various organizations and audiences. Our monthly newsletter contains the latest information relevant to seniors, caregivers and professionals who work with seniors.